The hamlet of Borgo I Vicelli is deeply rooted in the life of Florence and its surrounding territory. The first historical mention of its structure dates back to the 1500s in relation to the Fattoria of San Donato (a local farm) which belonged to the ancient Spedale Degl'Innocenti of Florence. A small village situated around an ancient and accommodating country villa.he hamlet was originally constructed for agricultural purposes with an olive grove, a mill for the production of olive oil, and a surrounding reserve. Yet with the passage of time, its farming activities and buildings were abandoned. Now, thanks to the dedication and hard work of its current owners, the borgo has been restored to its ancient splendor for guest hospitality and the organization of events, in full respect of its historical origins. I Vicelli presents itself as a quaint village of times past, consisting of two rural buildings: the barn and the farmhouse. Both overlook the borgos square and today offer comfortable apartments and spacious rooms for our guests. The nineteenth century manor and the Old Mill are reserved for the borgos leisure activities and events. In the typical stone courtyard are gathered an arcaded porch with an antique wood oven, the Wellness Center, and an exposition of the farms natural products such as its PGI olive oil. The Old Mill is now home to two halls: LOlivaia where the olives were once spread out before pressing; and La Limonaia, a winter garden. Both are available for professional and private occasions. The nineteenth-century villa, a country manor, has kept its original charm and atmosphere of centuries past. It is surrounded by arcades and an English garden, the perfect location for the open-air swimming pool adorned with elegant furnishings. Borgo I Vicelli Country Relais has successfully passed the 100 Quality Controls established by the "Certification Protocol of Historic Houses of Excellence" and is properly certified by the ITALIAN REGISTRY OF THE HISTORIC HOUSES OF EXCELLENCE. CONDITIONS - Vip Experience is reserved to clients of Residenze d’Epoca with VIP Coupon that will BOOK DIRECTLY at Borgo I Vicelli Country Relais by 31/12/2019 in a superior room (NO base room). Borgo I Vicelli Country Relais can guarantee Vip Experience for up to 2 guests (rooms) during the same period. Vip Experience does NOT include the costs of the stay. CONDIZIONI - The Vip Experience is reserved to Residenze d'Epoca clients in possession of a VIP Coupon, who will directly book a stay in a double superior room (NOT a standard room) at Borgo I Vicelli Country Relais within 31/12/2019. 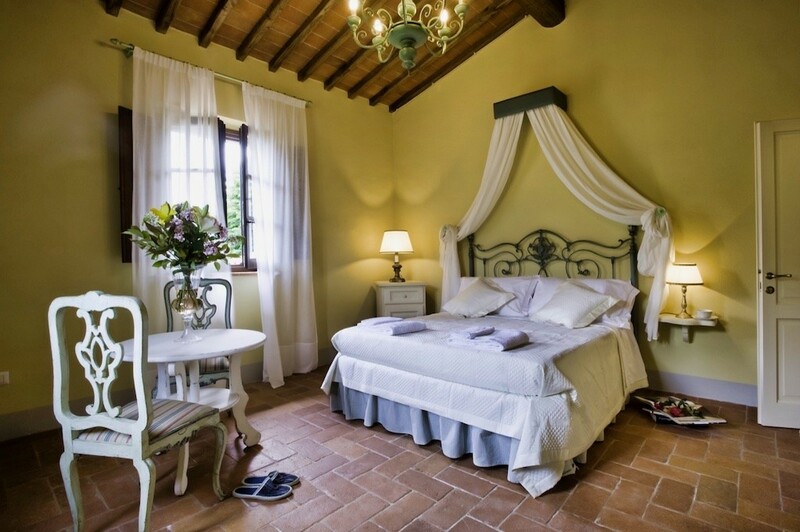 Borgo I Vicelli Country Relais will guarantee the Vip Experience to maximum two clients (rooms) in the same period. The Vip Experience doesn't include the cost of the stay. We have sent you a confirmation. We'll advice you when a "VIP Coupon - Complimentary" will be available (FREE for you, offered by Borgo I Vicelli Country Relais). The phone number of Borgo I Vicelli Country Relais is +39 055699003 or 3355987335.